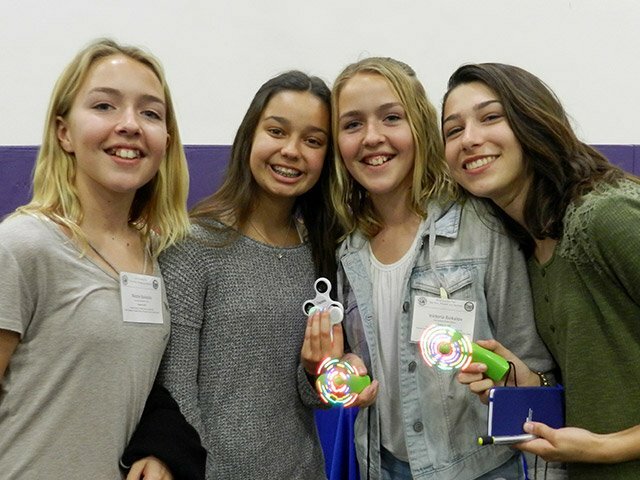 Approximately 1000 middle and high school students, families and Cal Lutheran students visited our main campus to take part in a STEM Expo, presented by ALLIES in STEM in conjunction with the Ventura County Science Fair. During the Expo, students participated in interactive booths and learned about careers in STEM from representatives of The Discovery Center for Science and Technology, California Department of Forestry and Fire Protection, Medtronic, California Native Plant Society, Channel Islands Chapter and others. The Ventura County Science Fair brings together students, teachers and scientists from throughout the county to give students an awareness of the importance of science in their lives and to cultivate their interest in science careers. Participants displayed their own science projects demonstrating their study of microbiology, engineering, chemistry and more. Entries were judged by local STEM professionals who volunteered their time to attend the event and select the winners. Approximately 40 students will advance to the Calfornia State Science Fair later this month in Los Angeles.